Do you have diamonds, gemstones and old vintage jewellery gathering dust in your jewellery box? If you do, why not sort them out and let me have a look at them and I can redesign vintage jewellery and will come up with some design ideas for you. Damaged diamonds and gemstones can be unset, recut, re-polished and reset back into your mount and then worn again for daily or occasional wear. Alternatively, I can redesign another vintage jewellery style or contemporary mount and add further diamonds and gemstones to a new mount. Your metal from old mount can be melted down and reused for your new mount as well. 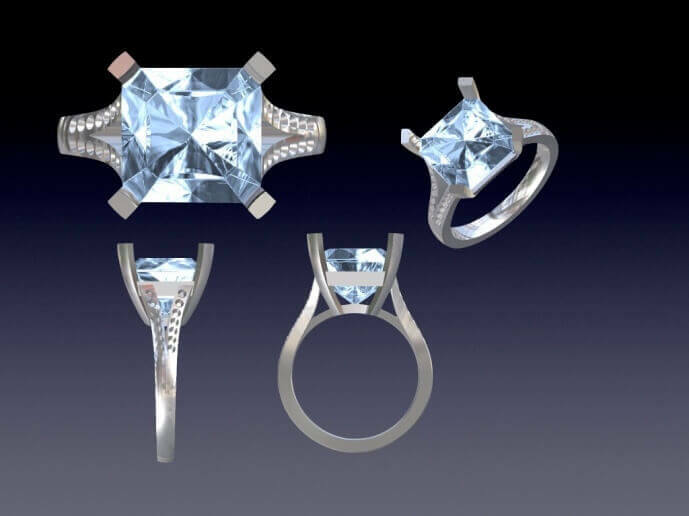 My CAD design service awaits you and I can repair and refresh all your damaged jewellery mounts including retipping claws, sizing ring shanks and repolishing tired mounts. Go on, treat yourself after all what is the point of staring at your jewellery box when you can have great joy wearing sentimental value. Absolutely priceless. When did you last value your jewellery? Is it properly insured? You will doubtless have purchased jewellery for either bridal wear, a commitment piece to celebrate a milestone, a lifestyle purchase for occasional wear or may have some jewellery bequeathed by a close relative. I am sure you really love wearing your engagement and matching wedding rings and derive much pleasure from the occasional wear of your vintage pieces. What would happen if you mislaid your favourite piece of jewellery or had a treasured item of jewellery stolen? In short, you would hope that your item of jewellery would be properly insured. Valued by a reputable valuer who is qualified and updated with valuation appraisal methodologies. Have a description of article, factual details, a value and a supportive digital photograph. Valued at least every three years because metal, gemstones and currency pricing fluctuate which can significantly impact on an updated value conclusion. Your item will be valued at a true market value. Your valuation will establish proof of ownership in event of a claim. Your claim will be processed quickly. In event of theft of item, an opportunity exists to recover the piece. What type of jewellery valuation would be appropriate for my piece of jewellery? Valuations for insurance employ a methodology to arrive at a value conclusion which differs from the above four purposes which use methodologies based on a term called open market valuation. There are several categories of value for purpose of insurance and the category most often used is New Replacement Value (NRV) which is the most popular type of category for modern jewellery. This category represents a value conclusion based on replacing an item of jewellery based on a UK jewellery retailer supplying an item of equivalent quality. In addition to NRV, there are several other categories for insurance which include Antique Value, Second Hand Value, New For Old Value and Facsimile Value which are employed dependent on the style, brand and age of items of jewellery to be valued. How will a valuer raise a valuation for insurance and how much do I have to pay for this service? 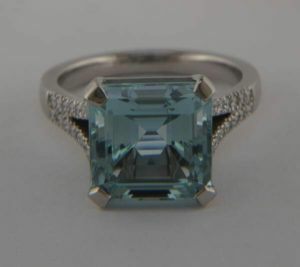 If you required a valuation for Insurance, a competent valuer would engage in dialogue with you to establish the most suitable category of value to suit your piece of jewellery and would ask for any previous supportive documentation such as valuations and certification of diamonds or gemstones. This is important as the final value conclusion may differ from factual details on documentation supplied. 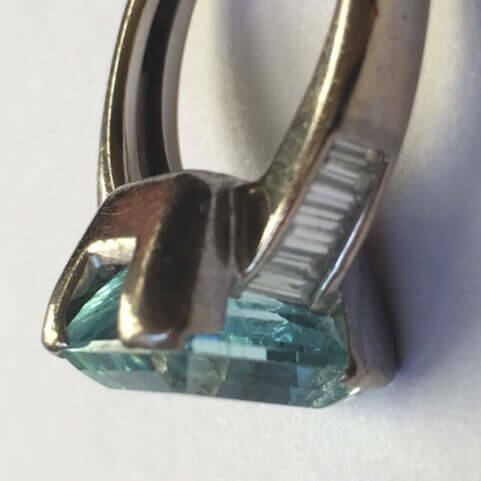 A valuer will then initially check your items of property to be valued and will draw your attention to any issues with mounts such as damage to stones or a claw missing and then will issue you a receipt with a brief description of all articles and all items weighed. 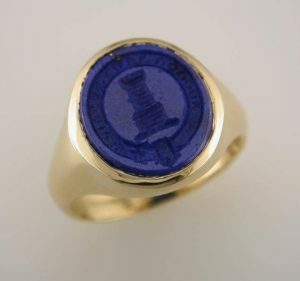 If a mount is damaged the valuer may suggest the item is repaired before valuing item. A valuer may not require taking in your items of property and could make notes while you wait dependent on number of items to be valued. A valuer will then use the notes from meeting to research items to be valued and arrive at a value conclusion and within the Valuation schedule will detail the following factual information. Assessed colour, clarity, dimensions and weight of all diamonds and gemstones. Assessed certificates correspond with diamonds and gemstones in mount. 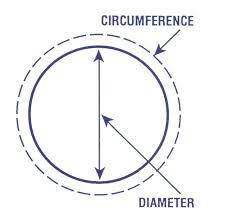 Confirmed mode of manufacture and style of mount. How value conclusion was determined in a transmittal letter. The cost of valuing any item of jewellery can vary considerably and in the past a valuer would charge an agreed percentage on total value conclusion. Today most valuers charge either on a hourly basis or raise a fee for a valuation report and charge per item of jewellery valued but this is all subject to the item of jewellery valued. For example, an item of property with significant provenance may take a longer time to reach a value conclusion based on extensive research of item. 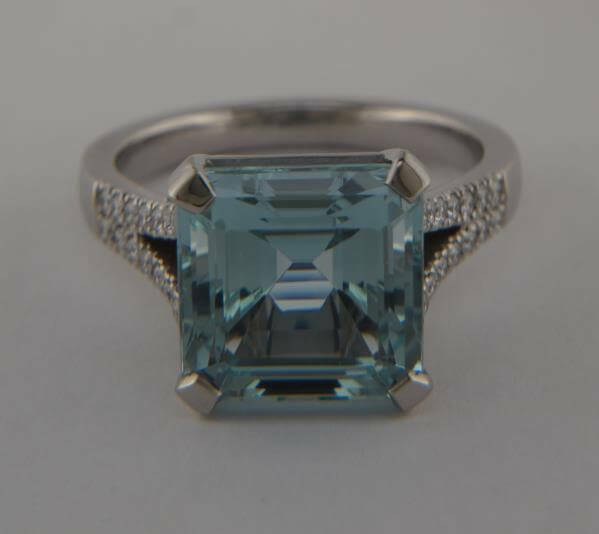 £50 – £75 per item of property including gem set jewellery and watches but expect to pay upwards of £100+ for premium items including larger diamonds and gemstones set in jewellery and items with provenance. Discount for revaluation every three years. Lower fee for lower value items. To summarise jewellery valuations, please do yourselves a big favour and make updating your jewellery valuations a priority and do not let old valuations gather dust as this could cost you dearly. A small price to pay for peace of mind! Love your jewellery! How poor cleaning and a lack of care can lead to ruin! I have seen rings deformed owing to dumbbell training in the gym and precious metals and gemstones damaged due to heavy housework and gardening in my time as a jewellery expert! A topical issue at the moment, especially with the increase of varying enhancements of coloured gemstones – how you can clean and care for your jewellery better. I list below the bare essentials to ensure you care for your sentimental pieces of jewellery that will offer you a lifetime of wear. Examine your jewellery. If you can see any damage, either cracks in the gems or damage to the mount do not clean it as you might make things worse. Seek expert advice. Ensure certain stones are secure before cleaning as a lost diamond can be expensive to replace. If in doubt do nowt! Seek expert advice. Remember if you have your items of jewellery polished by a jeweller, it should be seldom as a small micron of metal is removed in process and can weaken old mounts. A small old head of an electric toothbrush for cleaning inside rings and removing dirt as the splayed out bristles can be worked into small gaps on mounts. Washing up liquid, to remove grease and general dirt. Do not use soap, as it is made from vegetable oil and congeals on diamonds, and is hard to remove. Silver Dip. Various brands are available, and are about the same in quality. Silver or Jewellery Polishing Cloth. 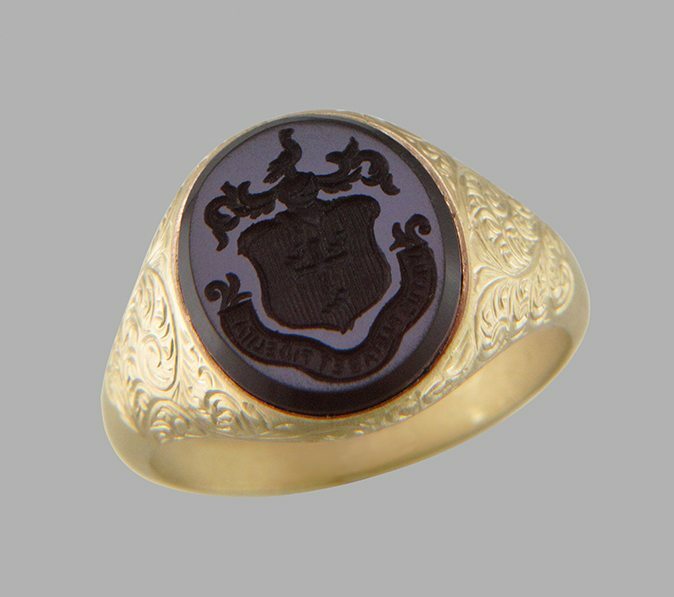 Polishes silver and gold, and leaves a protective film on silver which delays tarnishing. Warning: do not attempt to polish matt or satin finish, you will spoil it. Abrasive cleaners for cleaning jewellery. Cleaning: Apply a drop of washing up liquid to toothbrush, scrub stones and remove congealed soap to facets including tables ,pavilions and underneath collets securing diamonds. Then rinse under lukewarm water and review. You may need to repeat process. Care: Do not swim with diamond jewellery as salt and chlorine can discolour mount. Do not wear for heavy household chores, gym or gardening. If diamond jewellery is not worn, store in presentation box or pouch and store away from young children! You will be surprised to hear that I have two clients who have had their engagements rings flushed down the loo by their children! Cleaning: Apply a drop of washing up liquid to toothbrush, scrub stones and remove congealed soap to facets including tables , pavilions and underneath collets securing gemstone. Then rinse under lukewarm water and review. Safe in lukewarm water and silver dip. Diamonds,Rubies (unless lead-glass filled), Sapphires, Spinel, Topaz, Aquamarine, Tourmaline, Amethyst, Citrine, Smoky Quartz, Rock Crystal, Zircon, Cubic Zirconia, and Black Onyx. Safe in lukewarm water, do not soak in Silver Dip:Garnet, Jade, Peridot, Moonstone, Haematite, and Tanzanite. Do not soak in anything: Emerald, Opal, Lapis Lazuli, Cameos (shell and Wedgwood), Coral, Pearls (includes cultured, simulated and Mother of Pearl), Ivory, Amber, and Malachite. Do not get wet: Opal doublets and triplets, Turquoise, Charms or lockets with paper inserts or foiled gemstone jewellery. Care: Do not swim with gemstone jewellery as salt and chlorine can discolour mounts. Do not wear for heavy household chores, gym or gardening. If gemset jewellery is not worn, store in presentation box or pouch and store away from young children! Avoid heat and keep away from direct sunlight. Cleaning: Use Jewellery polishing cloth to bring up metallic lustre. Care: Remove jewellery before showering as soap can make metal dull and discolour. Do not wear swim with diamond jewellery as salt and chlorine can discolour mount. Cleaning: A durable, strong metal and great for setting gemstones. Use a Jewellery polishing cloth to bring up lustre. Care: Resistant to tarnishing and discolouration but susceptible to scratches so avoid storing close to other jewellery. Cleaning: Silver tarnishes so clean with washing up liquid and dry then place in Silver dip to remove tarnish and polish with Silver cloth. Warning: do not use silver dip to clean matt , antiqued or satin finished silver. Care: Be careful of antiqued look as dip will remove this look and ruin item. Keep away from dalylight to avoid tarnishing. Cleaning: Pearls are very delicate and susceptible to damage. After every wear wipe down with soft cloth and every 5th wear clean with dampened cloth with soapy water not washing up liquid and wipe dry. Care: Before every wear apply perfume beforehand as pearls are porous. Every two years have pearls restrung knotted and ensure stored in a chamois bag. If you stick to the above basics and adhere to cleaning and care for your individual items of jewellery, your jewellery should give you much pleasure and longevity and avoid considerable costs for a remount or supply of a new diamond or gemstone. Please adhere to if in doubt do nowt and seek the advice of a reputable jeweller. Bespoke tailoring, men’s clothing made to the individual measurements of the customer. Bespoke software, software written to the specific requirement of a customer. The term bespoke in the jewellery industry today has taken on several guises. 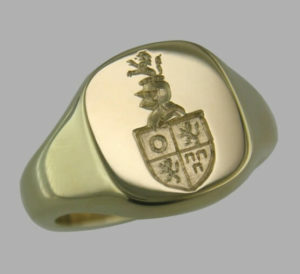 To explain in more detail, we are looking at different methods now employed in the manufacture of jewellery today. True bespoke jewellery is defined as “hand made” where the entire mount has been created by hand. The mounter will have bought the sheet metal and wire and will have fashioned the mount using traditional mounting techniques at the bench all by hand. All the jewellery I created prior to 2006 would have been made by hand and it would have been at a price that was affordable by professionals working in the City. With the advent of CAD/CAM, this process has revolutionised the industry and made bespoke jewellery accessible to everyone. Manufacturing costs have been slashed by 40% as there is little wastage on metal and a saving on labour time to complete mount. 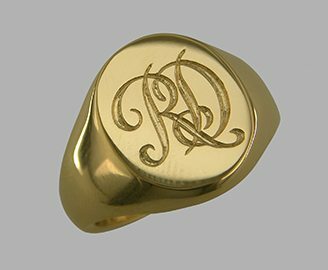 I will add that this has in no way compromised the setting of a mount, as this stage of the process can make or break a beautiful ring dependent on the ability and experience of the setter. ‘The old school’ in our trade argue that this method of manufacture has compromised on the finish of a ring as it can look too engineered. I do not agree, although pieces are now cast and assembled it still takes a good mounter with traditional mounting techniques to finish off a ring that actually does look handmade. If you have a look at my gallery on website can you differentiate between hand made and CAD/CAM jewellery. Do let me know! But I would like to add Bespoke jewellery and define the term as jewellery individually commissioned to suit the individual requirement of a client. However, it implies a perception of a luxury service reserved for the wealthy who can choose a diamond or gemstone of choice and have it set into a customised mount that will offer pleasure to the recipient. I think everyone should be able to consider ‘bespoke’ and I would encourage you to have a vision of what you would like to achieve and write down what you clearly want and don’t want. Education of the 4C’s, the variables governing value of diamond. Peace of mind with ethically sourced certificated diamond and gemstones. Unique design to suit your requirement. Emotional and aesthetic value at an affordable price. An expert bespoke jeweller facilitating the process will really understands your expectations, diamond , gemstone sourcing and bespoke jewellery design so they can help you achieve a precious item to last a lifetime.